Ryhmä Lex is a politically independent council group mainly for law students at the Student Union of the University of Turku (TYY). During the term 2018–2019 Ryhmä Lex has six (6) representatives at the Council of TYY. 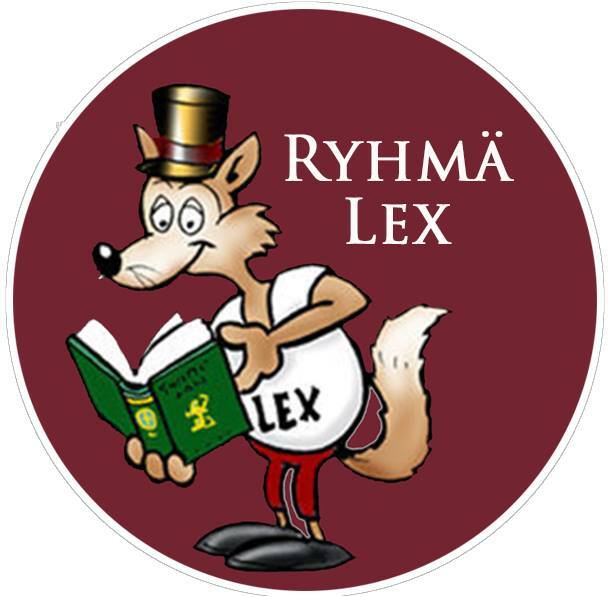 Ryhmä Lex acts independently but in cooperation with Law Students’ Association Lex. Ryhmä Lex advocates especially issues close to law students. At the council we work especially for an effective, academic affairs oriented and economically rational Student Union. We are also eager to keep a legal point of view always in discussion. In Ryhmä Lex, we have a culture of open discussion and views and opinions of every group member are appreciated. Furthermore, Ryhmä Lex has representatives in other organs of the Student Union, e.g. the Chairmanship of the Council, the Board of the Student Union, the Financial Committee and the Board of the Student Magazine (Tylkkäri). If you have any further questions, please don’t hesitate to contact our representatives by an e-mail (ryhmalex@gmail.com). If you prefer contact just our chair you can contact her either by an email (krerar@utu.fi) or by a phone call (+358 44 344 6983). Read here more about TYY and the Council of the Student Union.